In fitting with today’s delightfully autumnal weather, I decided to cook a hearty vegetarian curry with butternut squash. 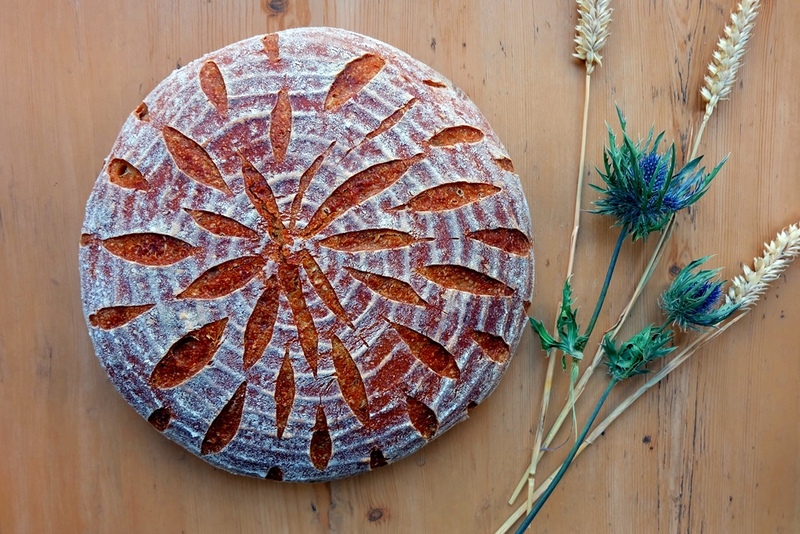 As is the case for most dishes, Indian curries taste best if eaten with freshly baked breads. I’ve made this spelt flour chapati recipe many times since visiting India in 2007 and it didn’t let me down today. 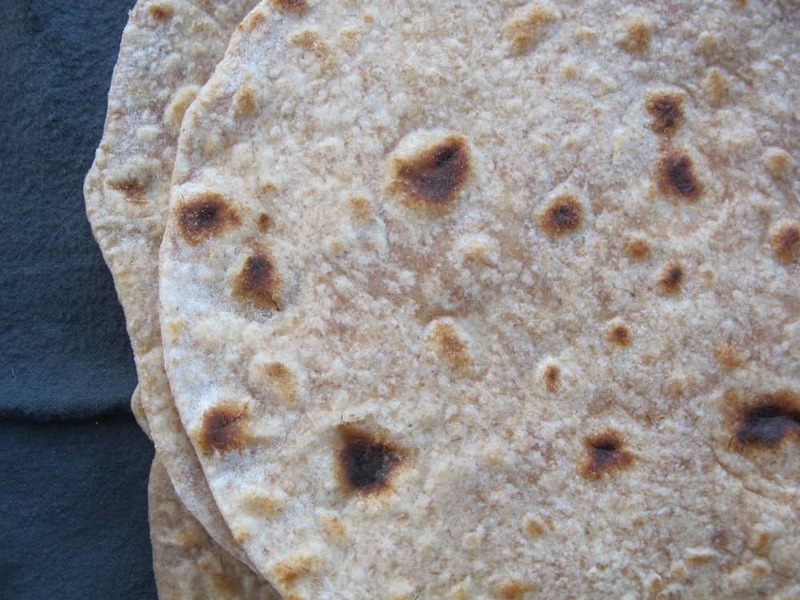 These homemade spelt chapatis are no hassle at all – you’ll be done in just over an hour. When visiting Malaysia recently, I picked up a tava (a round flat or slightly concave iron griddle) used in Indian cooking to make flatbreads. I haven’t got the traditional Atta flour handy, so I’m opting for a mix of wholemeal and white spelt flour instead. Traditionally made with Atta flour (stone ground wholemeal flour which has been sifted to remove the coarsest bran), salt and water. 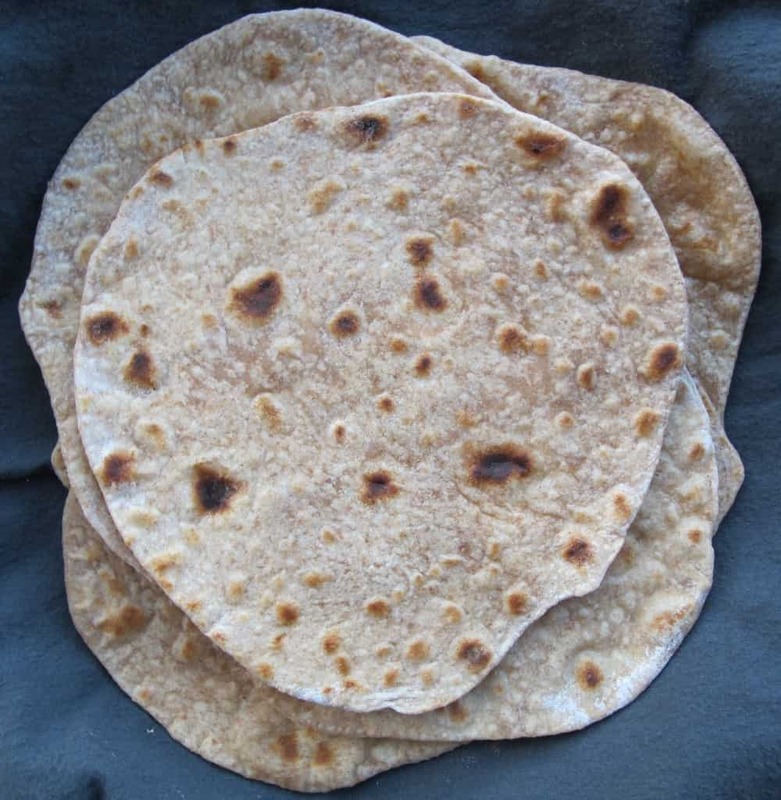 You can use a mixture of wholemeal and white flour if you don’t have Atta flour to hand. Place the spelt flours, water and salt in a large bowl. Form a soft dough with your hands. Note that firmer dough is easier to handle but makes harder chapatis. If required, just add a little more water until you get the right consistency. Add a tablespoon of oil and transfer to a clean surface. Shape the dough into a ball, place in a bowl and cover. Allow to rest for about 30 minutes. Divide into 6 equal pieces. Shape the dough into balls by rolling the pieces between your palms. Place them on a lightly dusted surface. Roll out the dough balls (one by one) into a thin round on a lightly floured surface. Heat up a frying pan over a medium heat and place the chapatis (one at a time) straight on the hot surface. Keep it there for about 30 seconds until blisters appear and it becomes slightly darker in colour. Turn and cook the other side in the same way. The steam trapped in the middle will cause the chapati to puff up. Use a clean kitchen towel to gently push down as air pockets form. Once done, lightly brush the chapati with rapeseed oil (traditionally ghee is used) and cover with a clean dish towel until ready to serve. Enjoy with dhal or your favourite curry – no cutlery needed! Previous PostPrevious Wholemeal, Wholewheat, Wholegrain Flour… Confused?